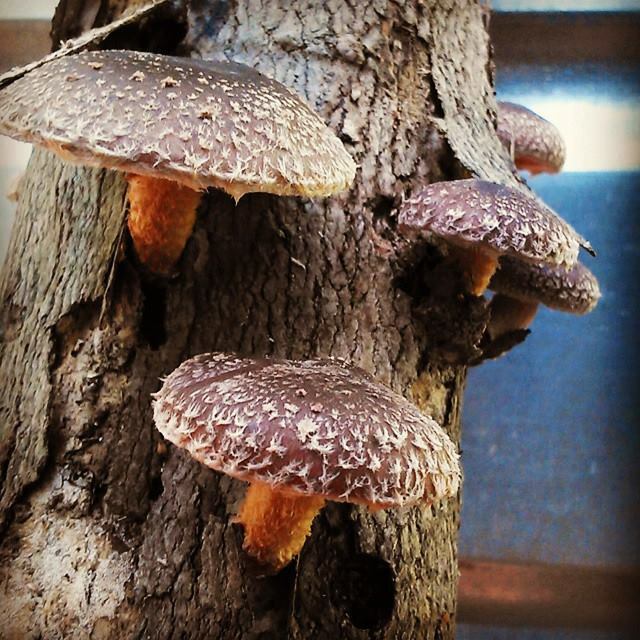 Cayuta Sun Farm cultivates nutrient-rich, log-grown, grade-A shiitake mushrooms as part of a permaculture-designed forest farm. Our mushrooms are gorgeous. We take great care to protect them from slug, insect, water and wind damage. The results are shiitake with perfectly formed, chocolate-brown caps and a firm yet supple texture. We visit our logs three times a day in order to harvest each mushroom at its ideal ripeness. These fresh shiitake have a lovely earthy aroma that transforms into a nutty flavor when cooked. While shiitake have been grown and used as a healing food in Asian medicine since about 1000 B.C.E., shiitake are establishing a well-deserved reputation as a health food in North America. Shiitake are a good source of protein, offering about 6 grams per half-pound when cooked. Log-grown shiitake are rich in antioxidants, B vitamins (riboflavin/B2, niacin/B3 and pantothenic acid/B5) and minerals such as copper, potassium and selenium. In addition, they have been shown to have cancer-fighting qualities and to lower cholesterol. 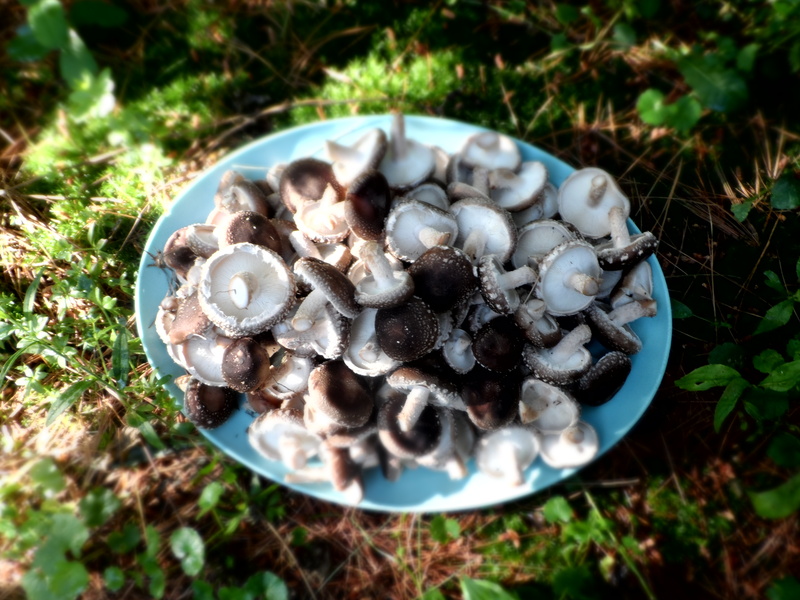 Shiitake also offer high amounts of vitamin D, especially when eaten dried. 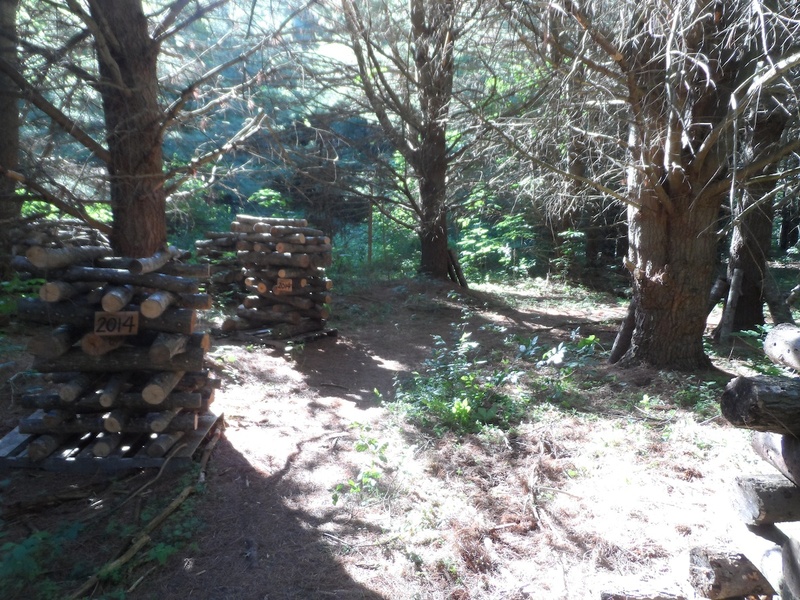 Mushrooms at Cayuta Sun Farm are grown in the dappled sunlight of a white pine forest. We use locally harvested oak and sugar maple logs cut during forest-thinning projects that promote healthy forests. We are producing nutritious food in an area typically considered marginal to agriculture. After the shiitake mycelium (the mushroom-fruiting organism living in the log) consumes the wood, this becomes excellent compost and recycles nutrients into healthy soil amendments for our home garden.